I have some problems finding the documentation of the definitions of shapes in XML for Android. I would like to define a simple circle filled with a solid color in an XML File to include it into my layout files. Sadly the Documentation on android.com does not cover the XML attributes of the Shape classes. I think I should use an ArcShape to draw a circle but there is no explanation on how to set the size, the color, or the angle needed to make a circle out of an Arc. 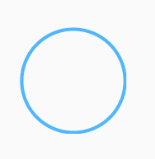 This is a simple circle as a drawable in Android. Note: To make the oval shape appear as a circle, in these examples, either your view that you are using this shape as its background should be a square or you have to set the height and width properties of the shape tag to an equal value. 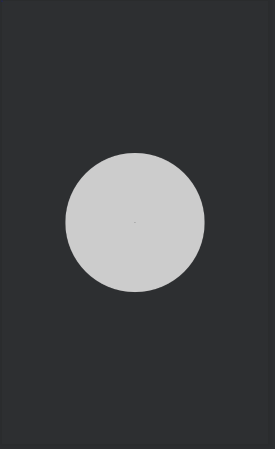 Also, you can adjust the radius of the circle by adjusting android:thickness. I couldn't draw a circle inside my ConstraintLayout for some reason, I just couldn't use any of the answers above. Not the answer you're looking for? Browse other questions tagged android android-drawable shapes or ask your own question. How to create custom shape using XML as a drawable in Android? How to fix layout_weight in Linear layout? Android Drawable: Specifying shape width in percent in the XML file?